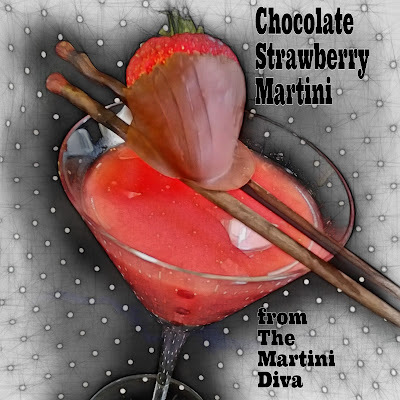 I love chocolate covered strawberries and, because I do, one of the first cocktail recipes I ever created was a chocolate and strawberry martini. In fact, I did two, the Chocolate Covered Strawberry Martini and the Chocolate Strawberry Valentini. I got to enjoy my favorite dessert as a cocktail and it even started me on my mission of creating culinary cocktails for as many food holidays as possible. I think I've pretty much covered nearly every food holiday, official and unofficial, in the last ten years, at least the ones that could make a palatable potable. In those 10 years my experience and knowledge of cocktails has grown and my tastes have become more sophisticated as I've learned a bit about the history of spirits and the art and techniques of mixing drinks. Along the way my tastes changed and expanded and I discovered that the creation of a cocktail is as complex as any other culinary endeavor and I began to apply my culinary training to my mixology. I started a garden, I filled my house with booze and things got crazy from that point. 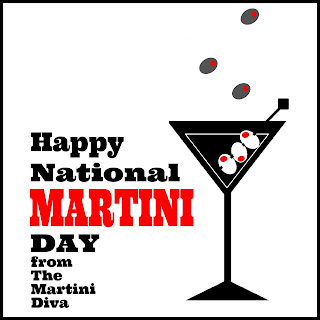 I have even managed to finally learn to love a real martini, yes, the true gin and vermouth cocktail. It was just a matter of the right gin, the right vermouth and the right ratios - and the right olives. Who would have guessed? But I still have a sweet tooth and I still enjoy indulging it at cocktail time. As I stared at the half flat of fresh strawberries I'd dragged into my kitchen, I realized I hadn't made a strawberry chocolate cocktail in a very long time. Too long, in fact, and I realized it was time to revisit one of my old favorites and apply some of that knowledge I'd been soaking up to those original recipes. For National Martini Day it seemed fitting to go back to my original "martini roots" and temper my sweet tooth so I've taken the original sweet spirits, added a perky herbal touch of very dry vermouth and a nice depth with some chocolate bitters. It's still sweet, but it's got character! DIRECTIONS: Add the strawberries to your blender and puree. Fill your cocktail shaker with the pureed strawberries, strawberry vodka, white creme de cacao, vermouth and the bitters. Taste this before you add the simple syrup! If your strawberries are very sweet you won't need simple syrup, if they're not very sweet you might need a little extra sweetness. Adjust your cocktail at this point. NOW fill your shaker with ice and shake until chilled. Strain* into your chilled cocktail glass and garnish with the chocolate covered strawberry. * I single strain because I don't mind the pulp and the seeds from the strawberries. Feel free to double strain if you prefer a pulp and seed free drink. COCKTAIL TIP: An easy way to taste a cocktail to insert a straw into the mixture and hold your finger over the top of the straw then lift the straw to your mouth and drop some of the cocktail on your tongue. By not touching the straw to your mouth you can reinsert it to taste again.